I love a good salad. In fact, I might have to say that salads and soups are my favourite way to get creative in the kitchen. But to be honest, I'm in NO WAY a gourmet chef. Far from it. Let's just say that all of the recipes I blog about on the Creative Wild will be the kind of thing anyone can do. No fifty billion ingredients, no complicated cooking methods, just simple, easy-to-make, delish food. Even though I'm not a gourmet chef, I am lover of food. Pretty much all food. From raw broccoli to candy, I love it all. But lately I've been focusing a lot more on being healthy, and with that I've been paying a lot closer attention to eating clean. 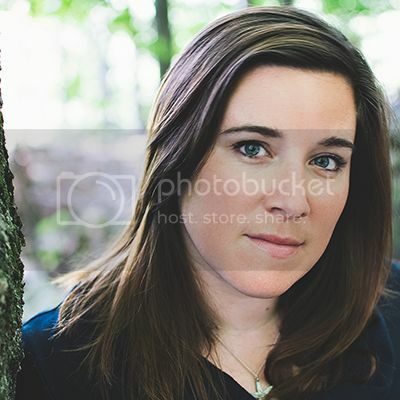 I'm not perfect, but I try. 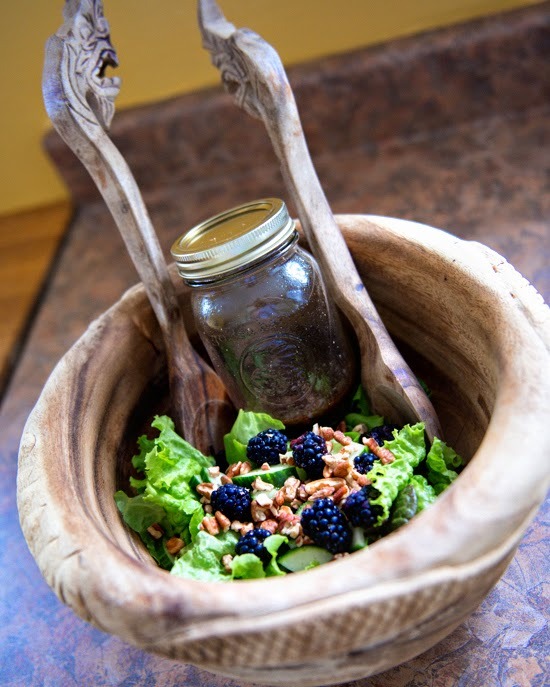 One of the first things to go from my diet was store-bought salad dressings. I'm sure some of them aren't too bad, but at the time my go-to dressing was fat free ranch. When my eating habits began to change, I checked the ingredient list on my standard salad dressing and was disgusted by the first ingredient. Any guesses? Corn syrup. Gross. SO gross. How is the primary ingredient in my ranch dressing corn syrup? GUH. Pass. Needless to say, my first priority was to change up my salad dressing. 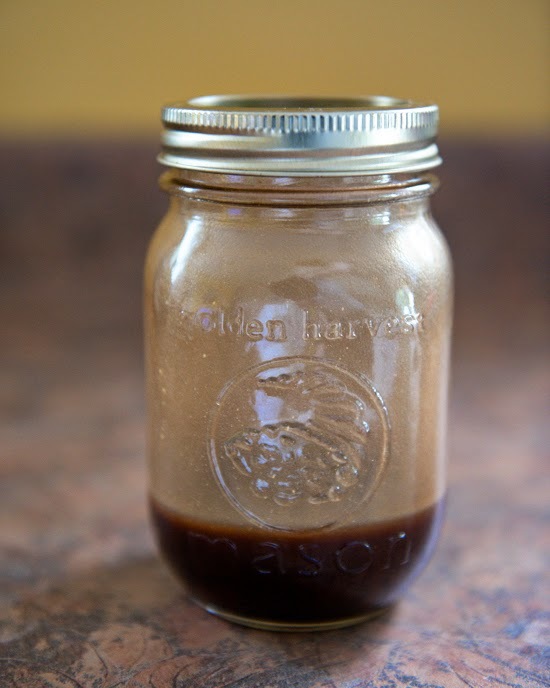 After searching around and being inspired by a few recipes for homemade salad dressings, I went to the kitchen and whipped up my very own maple balsamic vinaigrette. It's soooooooo yummy and only four ingredients (remember what I said about easy?). Try it for yourself, I don't think you'll be disappointed. The key to making this so easy is to use a simple mason jar. It's cute, functional, and makes it so easy to mix the ingredients together. Just shake it! 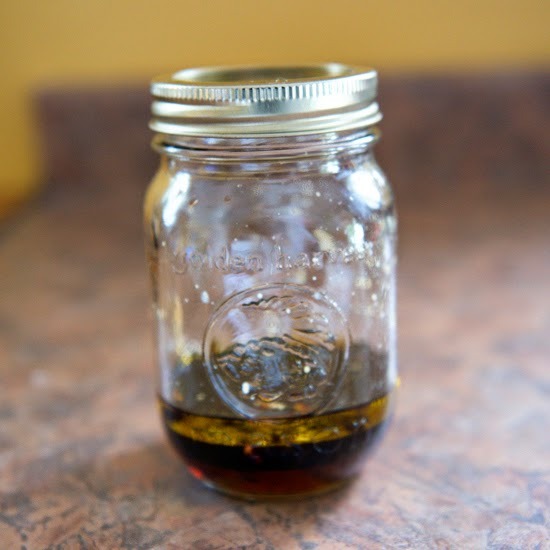 Oh, and just for the record, I usually buy and use local maple syrup, but bought this a while ago in the winter and am just trying to use it up. Support local people! And also in my defence, this is syrup from Quebec which is right next door. 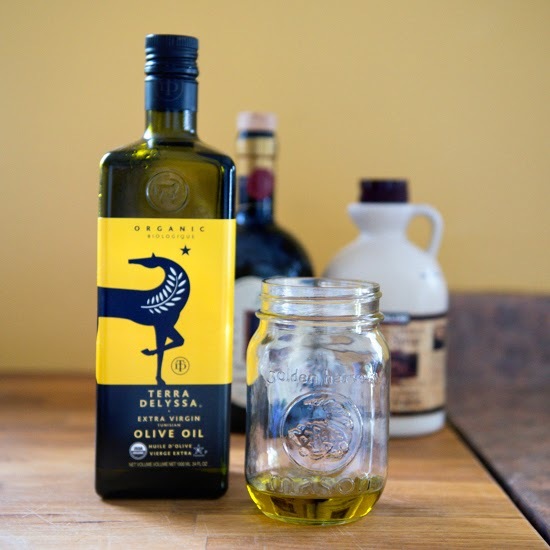 First up, olive oil! 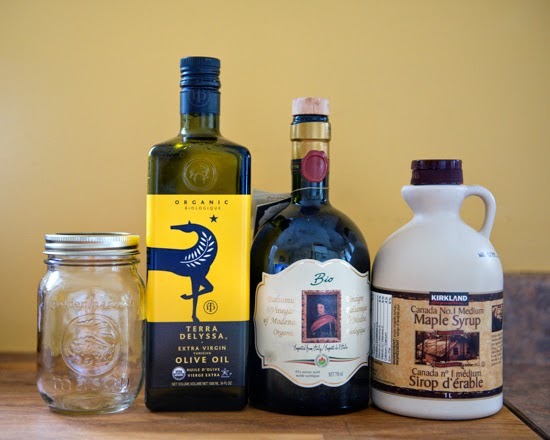 I use equal parts olive oil, balsamic, and maple syrup because I love the flavour and this combo packs a punch. 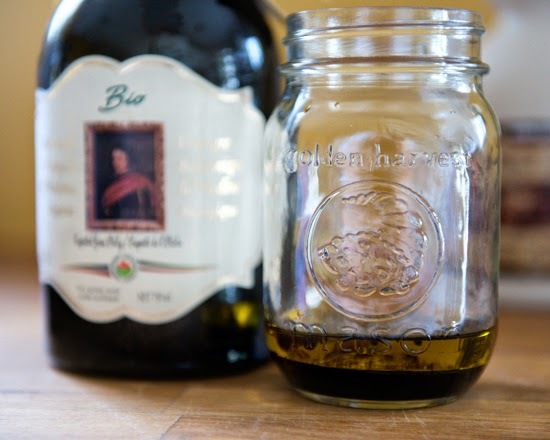 If you want to tone it down a bit, you can use half the amount of balsamic an/or maple syrup. Play around a bit until you find a mix that you like. 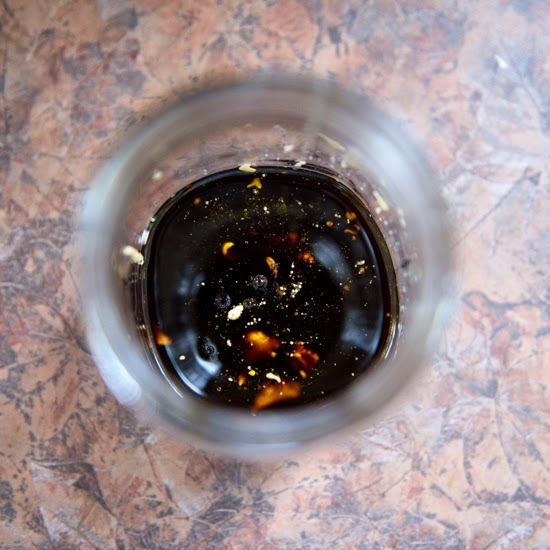 Pour in the balsamic. I only make a small amount of dressing because it doesn't keep that well (especially in the fridge, it clumps), and fresh is best anyway, yes? If you have a larger group to feed, you can jack up this recipe by just adding more of the ingredients. Maple syrup is next. 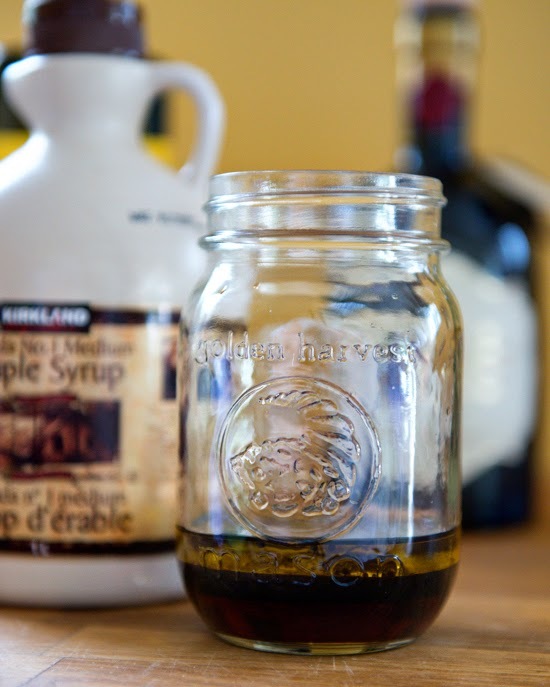 Did you know that maple syrup has loads of great nutritional properties? You know, like riboflavin and crap. The last ingredient is a squirt of dijon mustard. Gives it a nice little zip. And you're done! It's good to go. But now you need something to put it on! 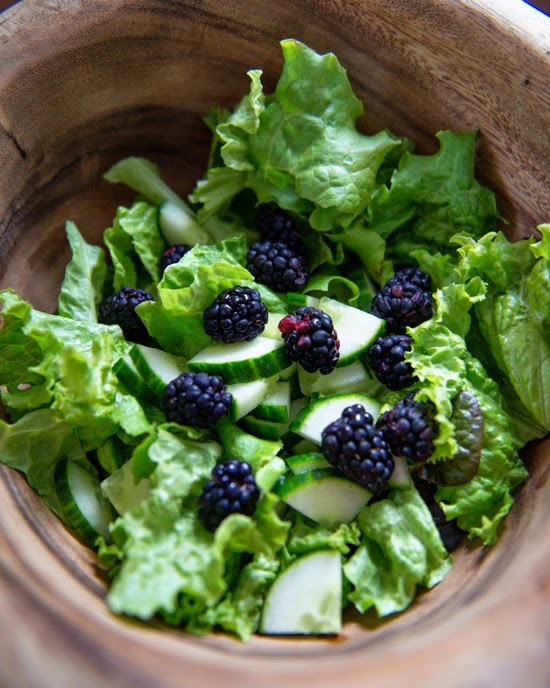 My salad usually consists of mixed greens (fresh from my backyard when it's in season), cucumber, something sweet (like berries or dried cranberries), something crunchy (like nuts), and occasionally I'll throw in a feta or goat cheese if I have it kicking around. 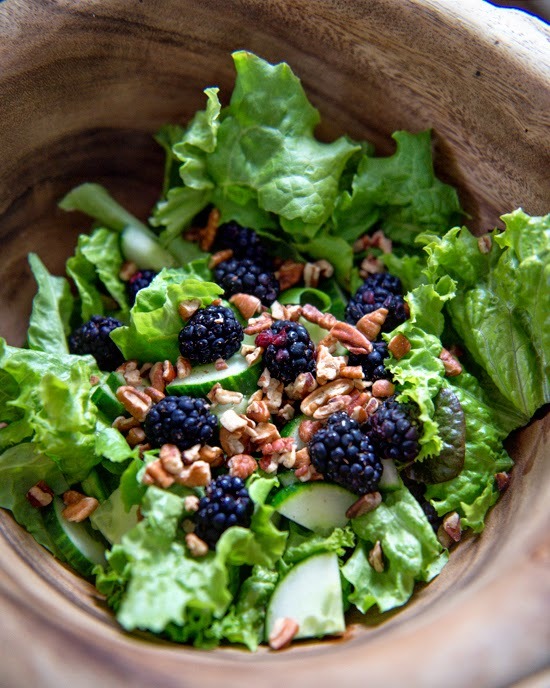 This time it's greens, cukes, blackberries, and pecans. Num. 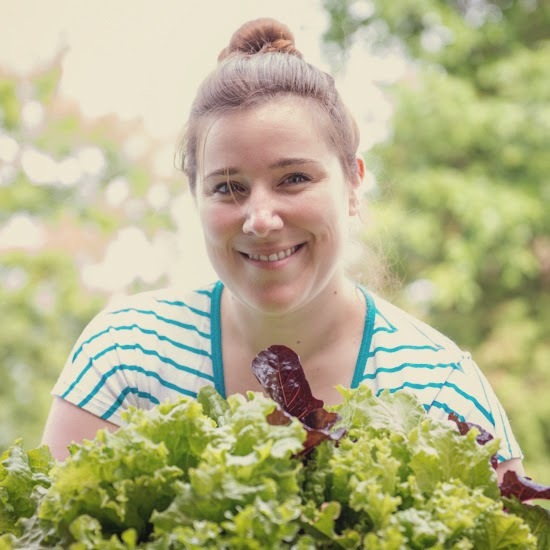 I planted lettuce in my garden this year, but I've been having issues with little critters eating all my hard work. So I went to my local nursery and bought a container of mixed lettuce. It's huge and will feed us all summer. I love it. So go on, pick your lettuce. 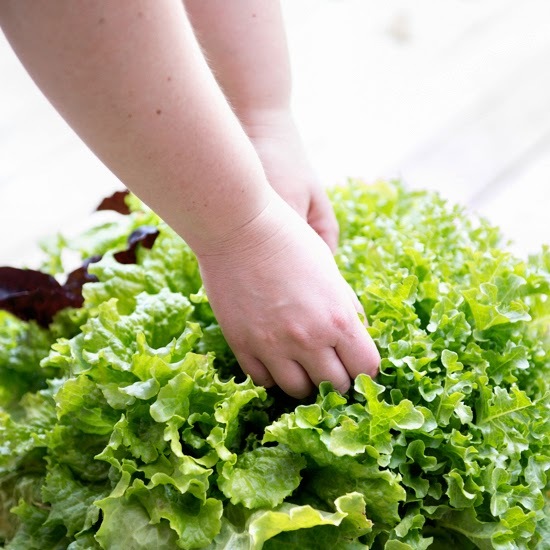 Toss it in your salad bowl (clean it first if needed). And you're DONE! 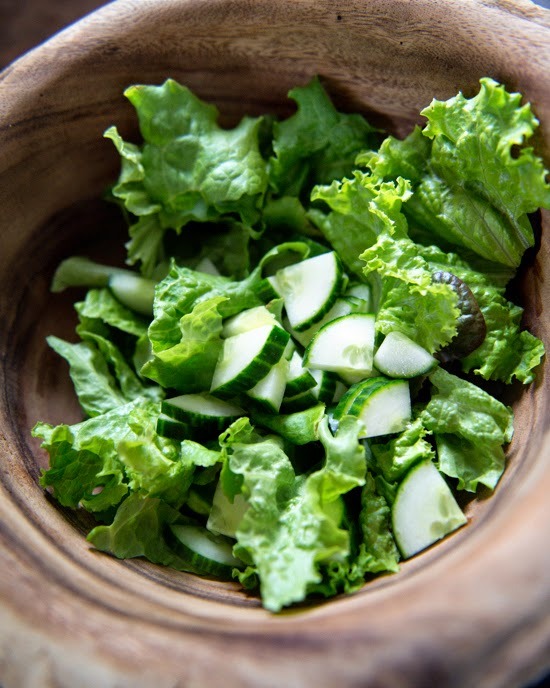 Salad and vinaigrette dressing, all set to go along side whatever you're having for supper. This salad is best served al fresco on a warm summer evening with a glass of white wine. 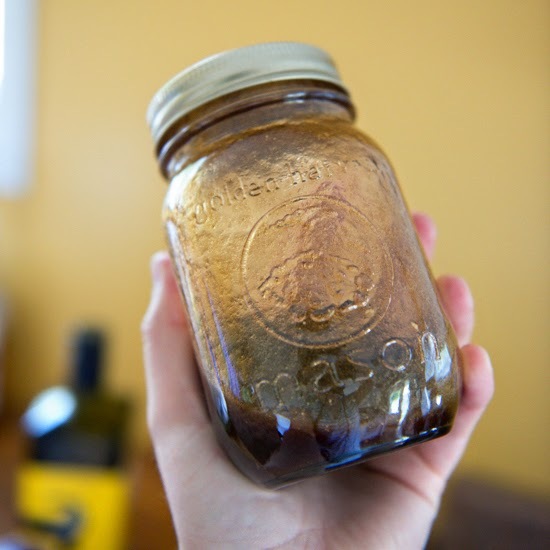 In a mason jar, mix equal parts olive oil, balsamic, and maple syrup, and a squirt of dijon mustard. Shake it up and it's ready to serve. Toss together in salad bowl. 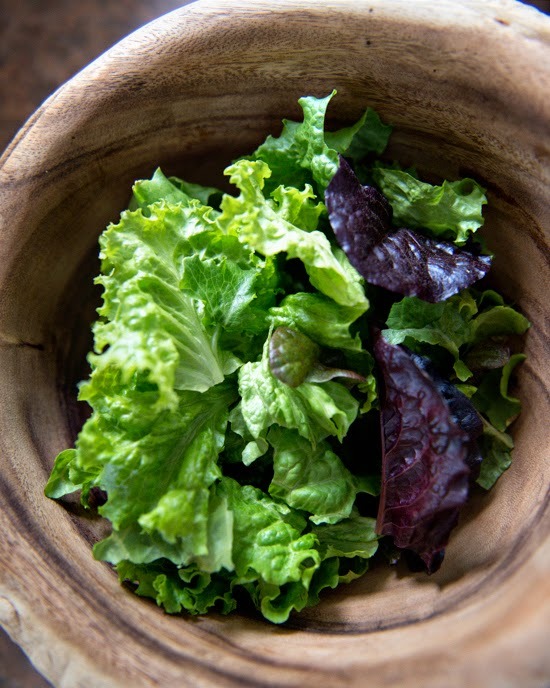 Serve with maple balsamic vinaigrette. That's it! It's so easy. So easy that the directions started to get a bit awkward because I had nothing to say.